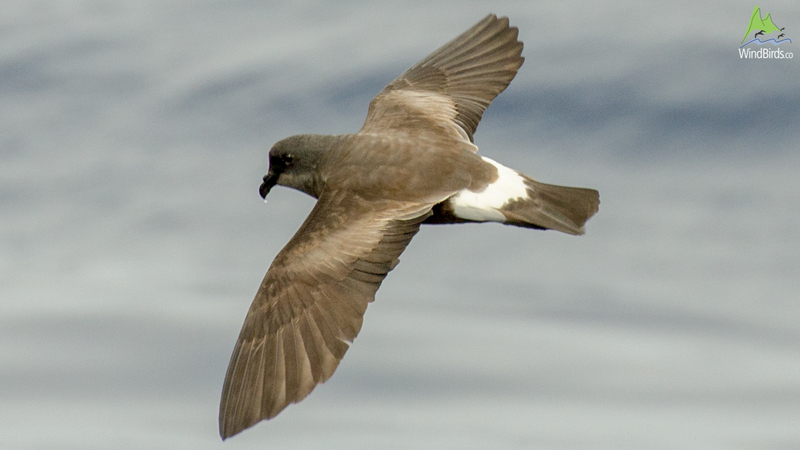 A medium to large storm petrel with long wings and tail square to slightly notched. Black and white seabird. The white rump extends to the lateral and under-tail coverts. Body is almost uniformly blackish brown to black with some paler, but not very contrasting, upper-wing band. 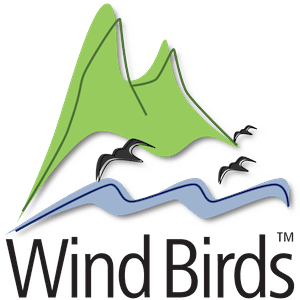 Undulating flight with incomplete wingbeats interrupted with short glides on a zigzag trajectory. 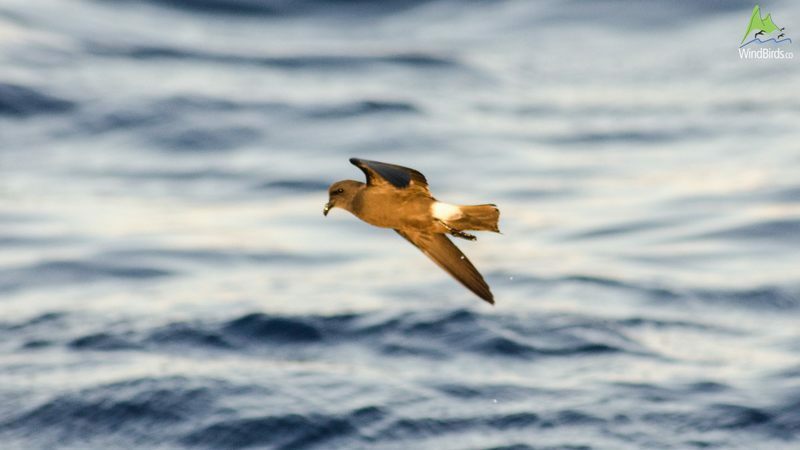 The Madeiran Storm-petrel is not easily seen at sea being the best conditions, to attract it on an offshore pelagic trip, strong wind together with a slick of fish oil. This species is widely distributed throughout the world, being found in the Atlantic and Pacific Oceans on the Saint Helena and Ascension islands and on the Galapagos archipelago. In Macaronesia, it is found in the Madeira, Azores and Canary archipelagos. 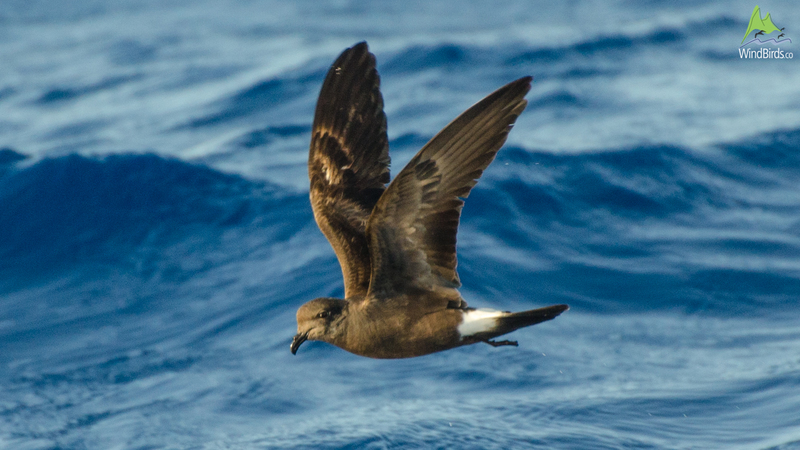 (Leach’s storm petrel) being the main differences the paler band on the upper-wing which is more contrasting in Leach’s and extends to the wing bend, the white rump that looks more like a ‘V? than a ‘U’ on the later one and the deeply forked tail of Leach’s, when visible. Breeding: It breeds in all islands of Madeira archipelago, except for the island of Porto Santo – although it does breed on the sea rocks surrounding that island. 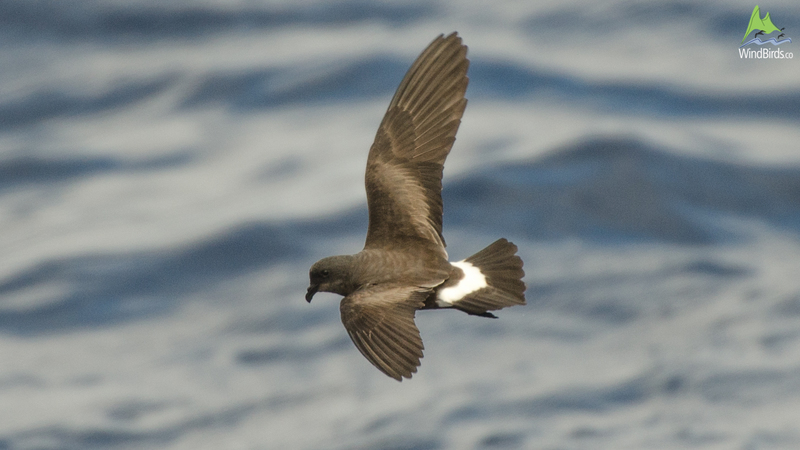 Madeira Storm-petrel has two breeding seasons, one in spring and the other in autumn. One egg is laid per sitting and incubation takes between 38 and 42 days. Both parents take turns in sitting on the egg, staying on the nest for periods of 2 to 6 days at a time. The chick remains in the nest for 68/73 days after hatching.